Having an image with blurry background allows you to focus on the main subject of your photo. Often photographers use the shallow depth of field from camera settings to achieve a blurry background effect. 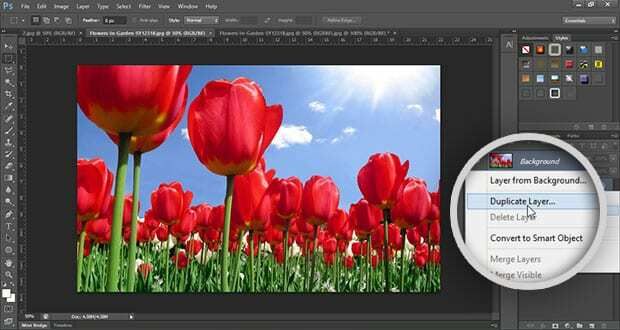 However it’s also possible to create a blurred background with photo editing. There might be a few reasons you want to blur your images. 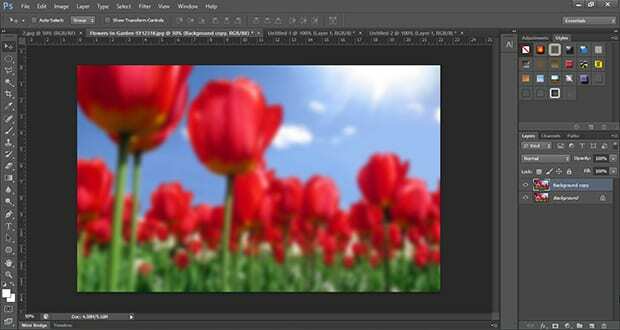 In this article, we will show two methods to create a blurry background using Photoshop. When You Should Use the Blurry Background Effect? If your photo has a busy background that can distract viewers from the main subject, then you should consider using the blurry background effect. There are two ways to achieve blurry background in your photos. The first and recommended option is to use your DSLR camera and the shallow depth of field settings. See our tutorial on how to manage shallow depth of field in your photos. 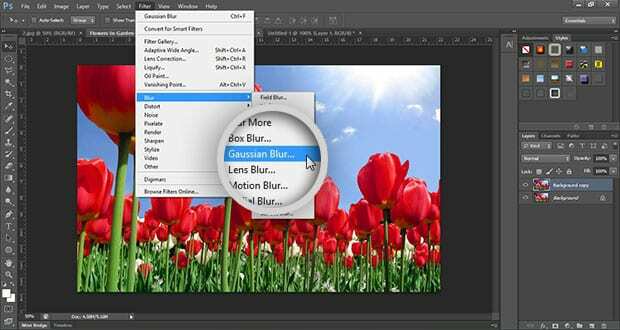 The other option is to use Adobe Photoshop’s blur setting which can help you achieve the blurry background effect. 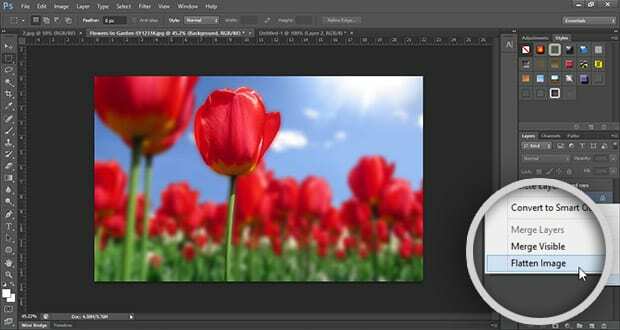 Let’s take a look at how you can edit your photo for a perfect blurred background. First thing you need to do is open the image that you want to edit in Photoshop. Next, you need to make a duplicate layer. Your original image will go to the back, and you get a new layer on top for further editing. To make a duplicate layer, simply right click on the image layer, and then click on the Duplicate Layer option. Keep your duplicate layer selected, and go to the Filter » Blur menu. There are over 10 options that you can select from. 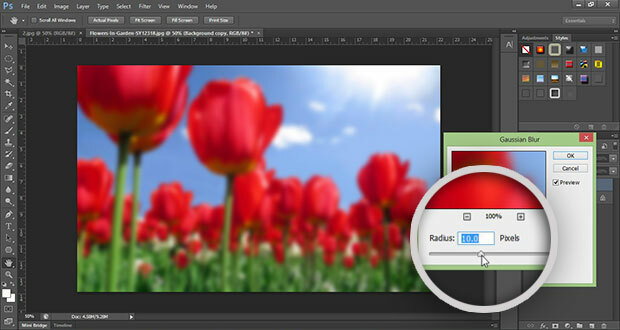 We recommend using the Gaussian Blur effect because in our opinion it provides the best results. You will need to set a radius of the blur. The larger the number, the blurrier the photo will be. For the sake of this tutorial, we will choose 10 as our blur radius. Your foreground layer will now be blurred. Now you have two different ways to achieve the blurry background. Lets look into these options one by one. First method requires you to select the eraser and start cleaning the part that you want to focus in the image. We recommend you to adjust the opacity of eraser at low when editing the edges. You should most definitely zoom in the picture for better edges. The second option is a little trickier, but its results are far better than the above option. Let’s select the Lasso Tool and draw the selection slowly on the part of your image that you want to focus. You should zoom in the picture for a perfect selection and delete the selected part. In both conditions, the focus part is highlighted and background gets blurred. When you’re finished, you should right click on the Background layer and select Flatten Image. Congratulations, you have successfully achieved the blurry background effect in Photoshop. Let’s take a look at the before and after results. 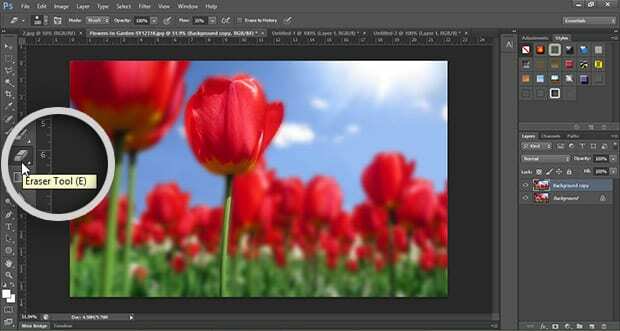 We hope this article helped you to learn how to achieve a blurry background using Photoshop. You may also want to check out 117 Free Lightroom Presets that you will fall in love with. Or, for the opposite effect, how to sharpen your images in Photoshop. If you liked this article, then please follow us on Facebook and Twitter for more Photoshop tutorials. Excellent! Worked perfectly. I just have to learn to use the Lasso tool a little better. It sounds like either the layers are linked or possibly grouped somehow but there’s no way it would apply it to both as long as only the one layer is selected. So, the layers could be grouped or linked. Does that help?